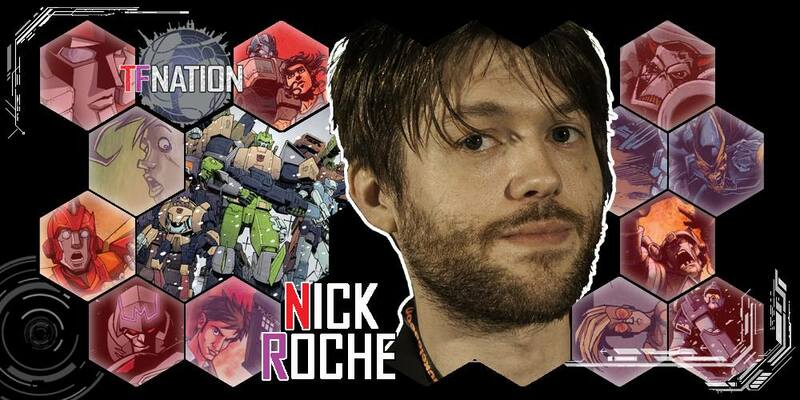 While we have enjoyed the incredible responses to all our guest announcements to date, it’s fair to say that few will give both the TFNation team, and it’s attendees as much pleasure as announcing writer and artist Nick Roche’s attendance at this August’s event. Known for his work with The Wreckers, Nick has been a TF fan since the days of the Marvel UK comics. Gaining exposure through the Transmasters community, Nick first worked on IDW’s Spotlight series, followed by Devastation, Maximum Dinobots and a notable issue of All Hail Megatron. All this, plus his numerous covers for other series, lead to the 2010 mini-series LAST STAND OF THE WRECKERS (for which he snuck in his Transmaster collaborator, some guy called James Roberts) which broke hearts, shattered trousers and whose influence has been felt in IDW Transformers, ever since. Sins of the Wreckers, the highly anticipated sequel that Nick both wrote and drew, has just concluded, providing another dark chapter of the story of the Autobots most tragic/heroic team. We look forward to hearing the authors own feelings on the characters, story and those inevitable deaths, over the course of the convention weekend. Away from Transformers, Nick has been involved in a wide range of work, from his Monster Motors collaboration with Brian Lynch, Dr Who covers for IDW and New Warriors for Marvel comics. He also hit Marvel UK fans right in the retros by providing the artwork for the Deaths Head section of Marvels Revolutionary war. Fitting, yes? On top of that, it still blows our minds that Nick also created all the artwork for an animated music video, as well as album cover art, for the last album from Brit rockers The Darkness. We suggest you follow Nick on social media, for details of his plans for this year, as well as his recent blog for those following SINS OF THE WRECKERS. Nick will be signing autographs and selling artwork at TFNation 2016 at the Hilton Birmingham Metropole Hotel - we look forward to seeing you there! Click the link or image above to view the Excellor toy gallery. The gallery contains 13 images of this figure for your viewing pleasure. Page Rendering Time: 0.2245 seconds.